England may have John Lewis, but in America, "we" have Macy's. Every Christmas, millions of children come to Macy’s to drop off their letter to Santa, so this year we decided to build on this sweet tradition with our holiday campaign. Our film tells the story of a girl who is finding it hard to be enthusiastic about the holidays when a magical pen rolls out of her TV. Smuggler's Filip Engstrom shot the film. According to Adweek, it became the most viewed ad of the holidays. The story continues digitally with a Santa letter-writing app, where we invited people to write their own magical list. The app also includes 12 activities that teach how the spirit of generosity makes the season brighter. Lastly, we actually made The Wish Writer. 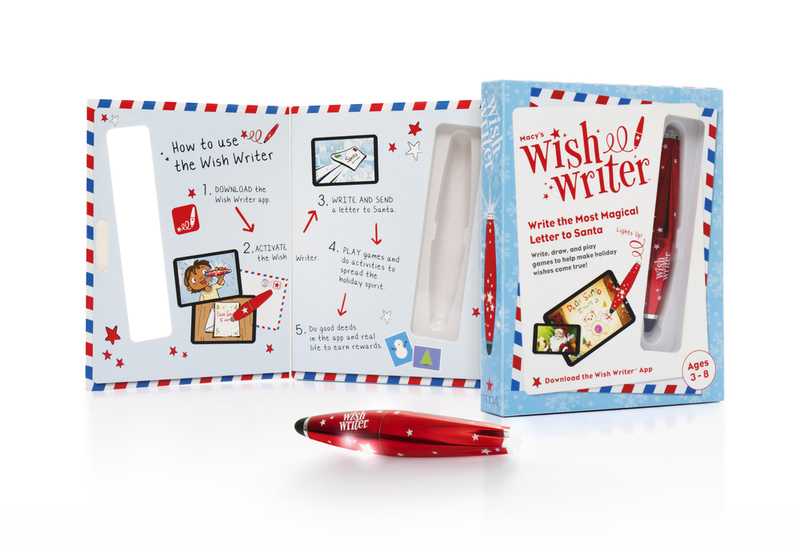 A magical stylus that is inspired by the one in the film (and meant to accompany the app), during the holidays, it was sold at every Macy’s store across the country, Keeping in Macy’s tradition of generosity, a portion of the proceeds from all app and Wish Writer purchases will go to the Make-A-Wish Foundation.